Above: Want to get your civic duty over with? Early voting starts this week. Made up your mind and want to get it over with? Early voting for Maryland’s 2018 primary begins on Thursday, June 14, with voting locations available across the state. Voters will be able to choose from candidates for governor, as well as a number of Baltimore City races, including state’s attorney and the state legislature. 2018 Primary Candidate List. 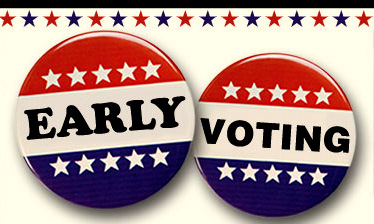 Early voting will run from June 14 to June 21 from 10 a.m. to 8 p.m. at any of the available Early Voting Center locations statewide. Who can vote? Anyone who is eligible to register. You will be able to register to vote . . . and vote!